Relay Graduate School of Education’s Master of Arts in Teaching focuses on concrete skills that lead to dramatic improvements in urban classrooms. 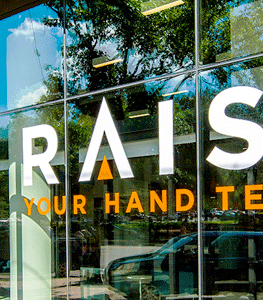 Raise Your Hand Texas provided Relay GSE a seed grant to launch a teacher residency program in Houston, and is currently sponsoring Houston-area district teachers enrolled in Relay’s Accelerated Master of Arts in Teaching program (AMAT). The AMAT is a one-year, competency-based program for current teachers. Program curriculum is tied to effective instruction methods, and assessments are based on the teacher’s work in the classroom, through video recordings of lessons and artifacts from the teacher’s classroom. The program culminates in a master’s defense, in which teachers present a portfolio of their work over the course of the year to demonstrate how it resulted in all students achieving at least one year of growth.